Are you a hopeless romantic? We've gone through some of our most favourite celeb relationships and pictured them on the page. You can open them up, get deeply involved and crayon between the lines until your hearts content. 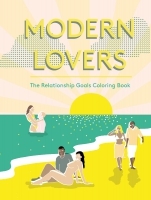 It's a colouring book running through the likes of Kimye, Ryan Gosling and Eva Mendes, Beyonce and Jay-Z, St Vincent and Cara Delevigne and even fictional beauties like Jon Snow and Ygritte, Mulder and Scully. Come on, what more do you want. Take time out of your day and celebrate blossoming love with us. A colouring book featuring some favourite celebrity couples, including Kimye and Beyonce and Jay-Z.